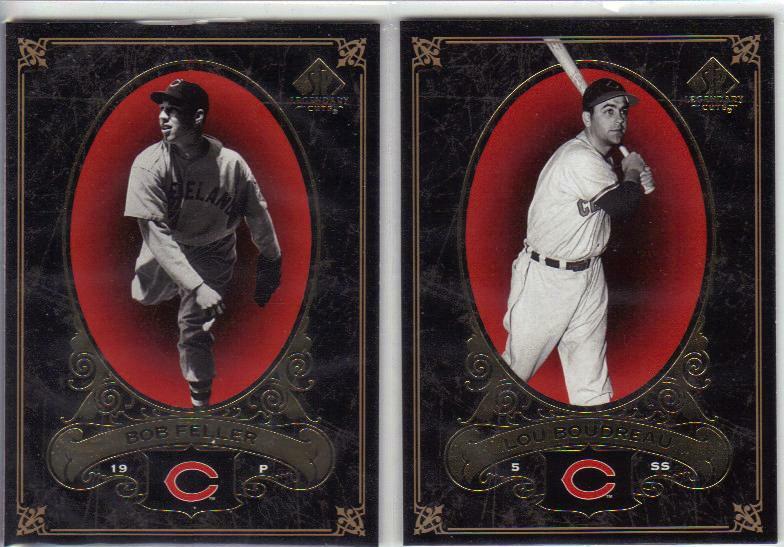 The cards above are 2007 SP Legendary Cuts, featuring Bob Feller and Lou Boudreau. 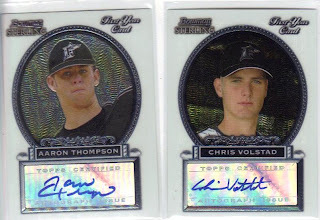 I really like these cards. They have a cool marble-like background and the gold foil adds to the card rather than takes anything away (as often foil does). The black-and-white images surrounded by the red gradient fill really makes the images POP, too! If memory serves, each participant chose a team and then was assigned a random team. My team ended up the Marlins. Of course, it is entirely possible that I picked Florida as my secondary team if given the choice of remaining teams. You never know with me. I digress. 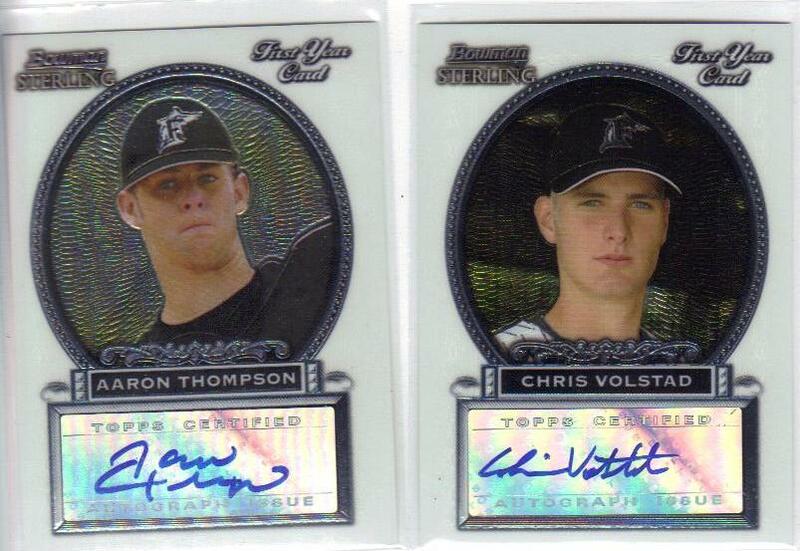 The two players I received are Aaron Thompson and Chris Volstad with signature-on-sticker autographs. 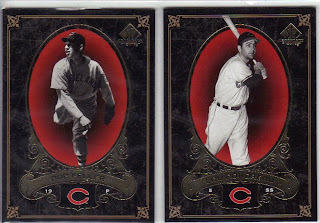 These Sterling cards are very cool-looking. They are clean with the large white space around the player's face. Normally, white space just eats up card real estate, but in this case, it makes the closeup really stand out. Like the Legendary Cuts, the ornation on the card adds to it attractiveness. Thanks, as always, Thorzul! You really do rule!